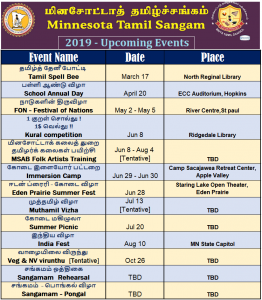 Minnesota Tamil Sangam is organized exclusively for CHARITABLE, CULTURAL, EDUCATIONAL purposes of promoting Tamil Culture to Tamil community in the state of Minnesota within the meaning of Section 501(c)(3) of the Internal Revenue Code of 1986, as now enacted or hereafter amended, including, for such purposes, the making of distributions to organizations that also qualify as Section 501(c)(3) exempt organizations. 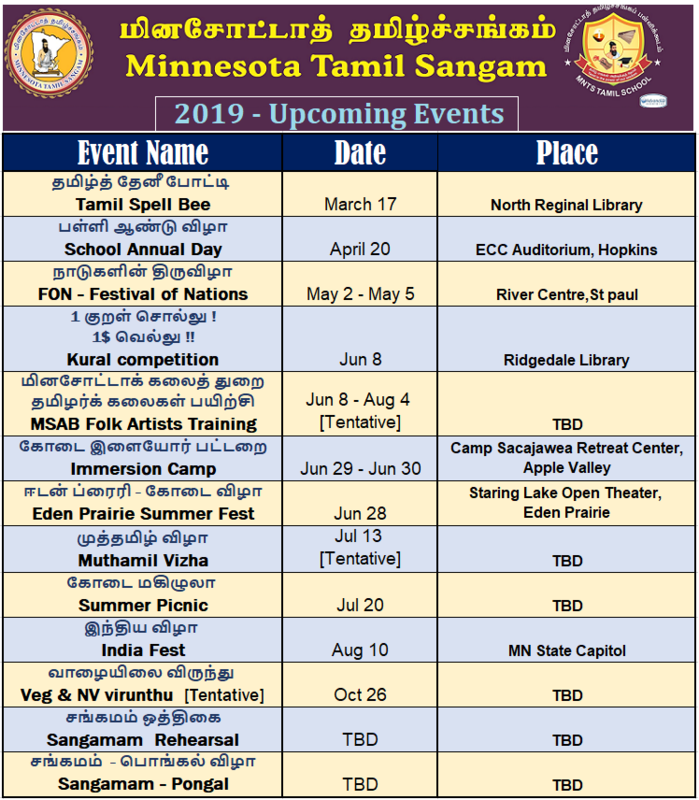 To this end, the corporation shall bring Tamilians in Minnesota together by uniting the members of Minnesota’s Tamil community, we hope to strengthen and expand the reach of the Tamil culture to the second generation Tamil kids. 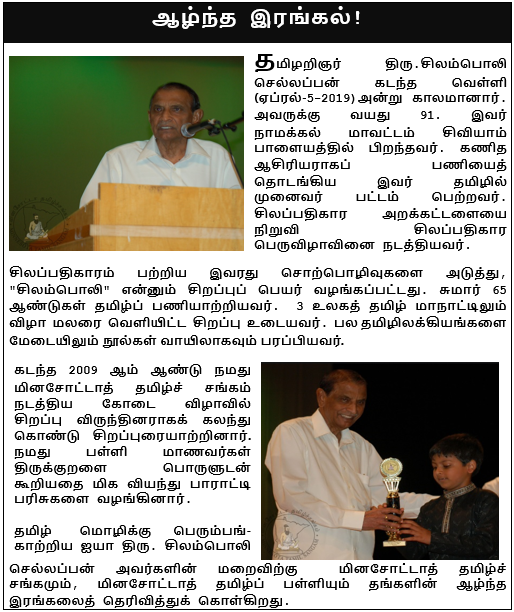 The main purpose of this organization will be to educate Tamil language and culture by conducting workshops and stage programs involving experts in the field of Tamil Literature and Art. All funds, whether income or principal, and whether acquired by gift or contribution or otherwise, shall be devoted to said purposes.